“I’ve always been in love with process,” Leibovtiz says. “I cannot walk on a film set today without being enamored with the way these things are done. I’m so lucky to be able to observe people like George Lucas and J.J. Abrams, who are literally geniuses. I always have to say to Vanity Fair, ‘How many pages do we have?’” For Leibovitz (and for Star Wars fans), there are never enough, but what’s inside the latest issue is still very exciting. Among its many photos, the collection reveals new characters such as Captain Phasma (played by Gwendoline Christie), showcases a Mos Eisley-cantina-worthy gang of aliens, and features villain Kylo Ren, played by Adam Driver — without his mask for the first time anywhere. He looks intense, serious, and troubled." Be sure to head over to StarWars.com to read the full interview! So, what do you think of that name? Let us know in the comments down below, or in Club SWU! A little sad he will most likely not be a sith with a name like that. Still, he is an awesome actor so it will be epic! Sith or no, my money is still that he will be the main villain. Most likely he will be some amalgam of Tarkin and Thrawn as the head of the First Order. When an ignorant of the material u have to complain . Perhaps Snoke is actually Darth Plagueis and was either never really killed by Palpatine or has "awakened" from death. Seeing as how he could "use the Force to influence the midi-chlorians to create life, and even save others from dying," he may have faked his death or had a plan in the event of being murdered. Another piece of evidence for this is the fact that the book "Star Wars: Darth Plagueis" was never labeled as "Legend" so it is still canon. That would also explain Andy Serkis' need to be motion captured as Plageuis is a Muun and has been depicted by artists as sitting on a throne already - much like Serkis is above. Snoke is probably force sensitive. Keep in mind that his coice was the one to narrate the first trailer. He says "there's been an awakening, have you felt it." Which I take to mean that Snoke is informing Kylo Ren of something he has felt through the force. IF Disney and J.J. Abrams do not use Luke as having offspring and the story primarily be about said offspring, then they have monumentally messed up the Star Wars Saga. The Trilogies we have, 4-6 and 1-3, focus primarily on Anakin Skywalker and his immediate family. 7-9 should follow suit. If they do not do this then you would have 2 full trilogies based on Anakin Skywalker and his direct descendants and then you would have a 3rd trilogy based on the Solo family and outsiders. It would make absolutely no sense chronologically. Lastly, if they do indeed kill off of Han Solo, this is nothing more than Harrison Ford and Lawrence Kasdan getting their original wish, with Lucas out of the way. Both Kasdan and Ford stated in numerous interviews years ago that they both felt someone had to die in Empire and Solo was the character but Lucas overruled them. I personally feel for good reasons. 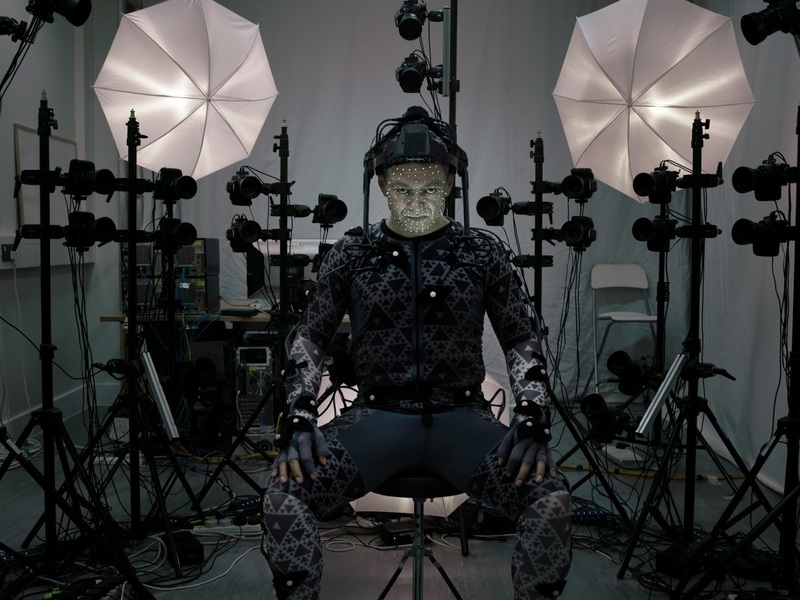 As far as Snoke being force sensitive, he's definitely not what he seems and is more than likely for sure Force sensitive...how would he know to tell anyone "There has been an awakening in the Force, Have you felt it?" He must've felt it himself. The real question is "How did the Empire survive with both of the main leaders and instigators dead?" Snoke must have some strong connection to the previous Empire to reform it as the First Order. However, I sincerely doubt he is Darth Plagueis as it would seriously minimize Emperor Palpatine's true power. That's another key right there, The Emperor was no longer referred to as "Darth Sidious" by the time the OT came to be so I would have to assume Snoke is probably similar. I think you're placing too much emphasis on the name "Skywalker." Regardless of whether they're Luke or Leia's kids, they're still only one step removed from Anakin...it's not like Star Wars is some kind of weird patriarchy where the bloodline can only be passed by a male...so it actually makes perfect sense no matter whose kids they are. We're just talking about a bloodline here, fellas, not trying to decide who should be the next king in some quasi feudal England. Now, if you're so intent on keeping Star Wars formulaic, doesn't a mentor have to die in the first installment of a trilogy? I mean, you have Qui-Gon in Phantom Menace and Obi-Wan in A New Hope...why not Han in Force Awakens? Don't get me wrong, Han's probably my favorite character so I don't want him to die, but I don't think it's a solely off-camera logistical choice if he does in fact bite the big one. There needs to be a really solid reason why Luke goes into exile, if this in fact the story we are to believe coming into TFA. His niece going evil? That doesn't feel knee-jerk compelling. The father-son dynamic is the most impactful as we saw with the revelation in ESB. Continuing the saga in the most pure unadulterated form would be to focus on the lineage of the first Skywalker. What better reason for Luke to feel a sense of failure leading to self-exile than failing to keep his own son from turning to the dark side? Technically, the "first Skywalker," as far as we know from the saga, was Shmi, so coming back around to a mother-son relationship would maintain that sense of recurrence that you seem to be looking for...I agree that the saga should be about the Skywalker bloodline, but I don't think that means everything has to revolve around Luke...in the words of Yoda, "there is another Skywalker." Well if they kill Luke I'm gonna riot. I don't agree with the whole Kylo Ren/Rey brother and sister twin Idea either. Why? Obviously it's a blatant rehashing of the OT. Lawrence Kasdan also once said in an interview "I was delighted to find that Empire wasn't just a rehashing of Star Wars, everything goes to hell". I would be far more happy to see Kylo Ren as Luke's son and Rey as Leia and Han's daughter. I also heard a rumor that Domnhall Gleason's character "The General" was Luke's son. I sincerely doubt that this is true but you never know. Oh and secondly, as you mentioned being Formulaic and all. Qui-Gonn and Obi-Wan were BOTH Jedi. Both of these Jedi would become Force Ghosts. Han Solo is not a Jedi. However, I'm perfectly fine with killing off Han Solo as long as they leave Luke alive. I like the Han Solo Character but I still think it's just Kasdan and Ford getting their way now that Lucas is out of the picture.. True, but I was trying to go not so cookie-cutter and stick to the whole mentor aspect, not be Jedi-specific...and does Qui-Gon ever manifest himself as a Force ghost? I thought he could just come to Yoda, and presumably Obi-Wan, during meditation...but, anyway, I seriously doubt Luke dies in this movie...I think Episode 7 is Han's swan song...he'll swoop in and save the day again, but pay the ultimate price this time. I prefer to think of it as an integral part of the story and not just two grown men getting their way, but as long as it's done well I don't really care what the behind the scenes reasoning is. Yeah I'd have to agree. He seems to be quite integral to the story and Captain Phasma seems to answer to him for the most part. I also found it quite funny they did nothing on him in the Vanity Fair mag. Most of the new characters were shown in that story and even Kylo Ren (Whom we all knew was played by Adam Driver) was revealed. So, Why not Gleason's Character? Maybe there is some truth to that rumor that I mentioned above. The Rumor itself was that he was the son of Luke and Luke went into hiding just after "The General" switched sides. However, the rumor goes further and states that Gleason's character "The General" is playing both sides. These rumors are not used in most of the outlined stories about the film for the most part. This is one of the reasons why I'm thinking it's simply a rumor and not fact. J.J. Abrams and insiders have been feeding details from the Movie in a more covert manner...which he did with Star Trek as well...that much is quite clear to me. The Vanity Fair story, which they did for the prequel's as well, is just one of the more open ways they've fed Info. Some random guy on Twitter revealed right after the 2nd trailer was released who Gleason is playing and that the character standing next to him in that shot with Storm troopers turning around and there's 2 small figures in the middle, this guy stated the person in black is Gleason's "General" and next to him is Gwendolyn Christie's "Captain Phasma". He stated this the day the 2nd trailer was released, well before "Captain Phasma's" official reveal in the Vanity Fair article. The only way he knew details like "Captain Phasma" is if he is an insider or knows someone who is. That's not a common name that anybody could just make up. I was personally blown away when the Vanity Fair article was released and it gave that exact name for the Chrometrooper. I sincerely hope they at least say why she is wearing such elegant armor while all other stormtroopers are normal looking. I also hope they at least give hints or a reason why Kylo Ren's lightsaber looks ancient and has that cross guard....ugh too many questions. ...and I forgot to mention. One photo that was shot and released by a fan was one of Adam Driver in the Rebel alliance aka Resistance flight gear. This photo is of particular interest to me because NONE of the rumors or outlined stories mention this. Which I find particularly strange. Why is a Sith Lord in the same outfit worn by many famous Resistance fighters? Particularly like Luke Skywalker. One suggestion was that he is trying to infiltrate the resistance. Another suggestion was that it is a flashback sequence...again more questions! My guess is that "The General" is basically the Tarkin of the First Order, while Snoke is the Emperor and Kylo is Vader...and I think they're borrowing a bit from the Clone Wars and Captain Phasma is like Captain Rex, a more distinguished trooper that wears different armor to signify rank and privilege. Well my main interest in that guy from Twitter, which I didn't mention in my previous posts, was the fact that he gave that name to the chrome storm trooper specifically. While the name was mentioned back in December, was it officially applied to any specific character until the new Trailer showed that character? What I found particularly odd was the pic from the trailer that he used to point out Captain Phasma and "The General". There's at least 1 very clear shot of Phasma toward the end of the trailer. However, he used one that was ambiguous and obscure. I didn't even personally notice the two very small figures in the backround when I watched the Trailer. I certainly agree it's part of the fun of it, to speculate. However, I was a Hyperspace member for the Prequels on Starwars.com and I really sincerely wished they would've done that again....well worth the money I paid for that. Like you stated however, while real info is being leaked, so is misinformation. Lucas was far better at managing spoilers imo....in fact he didn't care. I knew the entire stories of all of the prequels before they were released and still had no problem seeing Episode III, 13 times in the Theater...YES, 13 times. It STILL left room for speculation and I enjoyed it immensely before the films were released. I do agree about Phasma being like Captain Rex for sure. However, what I'm really interested in is Kylo's Lightsaber and where did he get it and WHAT is the big deal about Luke's Lightsaber from the OT? I don't understand how a story could focus so much on a lightsaber and Darth Vader's helm and mask...unless they have some mysterious super power that no one is aware of. But likely ISNT Skywalker because that makes almost no sense. The Jedi were long known to advocate against interpersonal attachment (for obvious reasons lol see: Anakin) so relationships R BAD and it makes even LESS sense for Luke to slip away one day, bored from his post outside of the ancient Sith temple on the random island he's kickin it on to go down to the local cantina (on the other side of the planet and across a lava sea or something lol) for a drink and to pick up on a random. Yes, Luke had romantic relations in the EU but that was the EU and it was developed. You can't just make a movie set 30 years after the last one and be like "Oh HEY BTW, you didn't know this but Luke fell in love with this random chick and they made this guy 20 some years ago." when you already have an established relationship in Han and Leia. I'm positive Rey, who is clearly the "and YOU have it" in the 2nd trailer, is their daughter. And likely Kylo's sister. As far as Han being killed off. He's a definite fan favorite... and that's all the more reason for him to die in EpVII. Luke could very well already be dead and full-fledged force ghost. That'd be pretty cool, just saw that idea today for the first time. Luke is rumored to not have a very big role in this episode so I doubt his death at the end of the movie would have the same sort of impact. HOWEVER, fan favorite Harrison Ford with his endless charisma and his heartwarming, internet breaking "CHEWIE, WE'RE HOME" is the perfect candidate for heartstring obliteration. ESPECIALLY at the hands of his progeny. That's like... FAST FORWARD TO EPISODE VIII NOW YOU BASTARDS territory. It'd be a great way to close out EpVII, set the conflict into fifth gear and set up a spectacular EpVIII. Driver in a resistance suit. Yes, that could be JJ leakin misinfo to throw off the scent. Or it could be exactly what it looks like. Han and Leia's pride and joy (the elder of the two kids, perhaps? ), an airforce pilot and total good guy... goes rotten as he becomes more and more obsessed with his legendary and uber-powerful maternal grandfather, uneasy with the new republic, maybe starts buying into The First Order's promises of peace and stability and switches sides. Basically retraces Anakin's footsteps. Even better if he was buddies with Poe Dameron :) boy that'd make for some good cinema, eh?